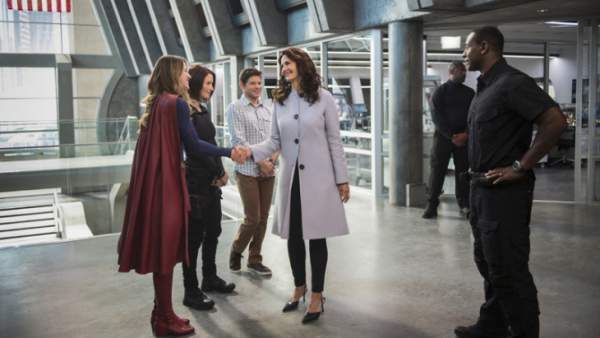 Supergirl Season 2 Episode 3 Spoilers, Air Date, Promo, Synopsis 2×3 Updates: It seems that the superhero show is back with exciting events. The second chapter also witnessed glimpses of Superman. We are going to see more laser eye exhibition next week. The ep 3 is titled “Welcome To Earth.” The fans will see 1970s Wonder Woman played by Lynda Carter. She is here to play the role of the US President. The show premiered on the CW network with a team of the Kryptonian cousins, Clark Kent (Tyler Hoechlin) and Kara. Superman aka Clark Kent has arrived in the National City to meet his cousin sister Supergirl. She is happy upon his arrival as the family. Both team up to defeat new villains. Last night in “The Last Children of Krypton,” we saw Cadmus trying to take control of the city. They used cyborg supervillain Metallo who caused significant injury to Kara/Supergirl. He is powered by an element named “Kryptonite,” stolen from DEO. Watch: Quantico Season 2 Episode 4. Next week, we will see Supergirl saving the life of the US President on being attacked by Metallo. She will be supported by an assembly of casts along with Superman. Kara’s sister Alex feels uneasy of Superman’s presence. Detective Maggie Sawyer will also join them. We are excited to watch another super day of superhero adventure on the small screen. Supergirl season 2 episode 3 will air on October 17, Monday on the CW network. Stay tuned to The Reporter Times for latest Supergirl news and all TV series updates across the globe. What are your views and thoughts regarding this installment and the show’s future? Feel free to air your voice via commenting below. Don’t forget to share this page on social media sites.